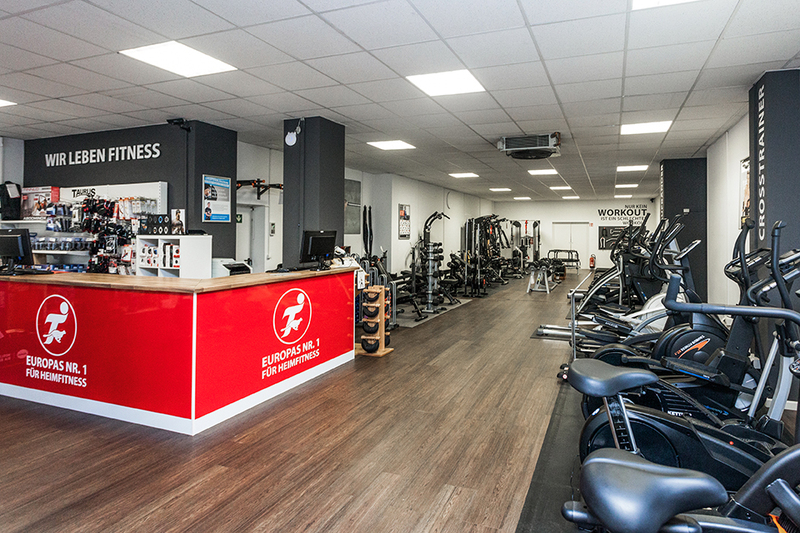 Bezoek onze fitness speciaalzaak met een showroom van 250m². 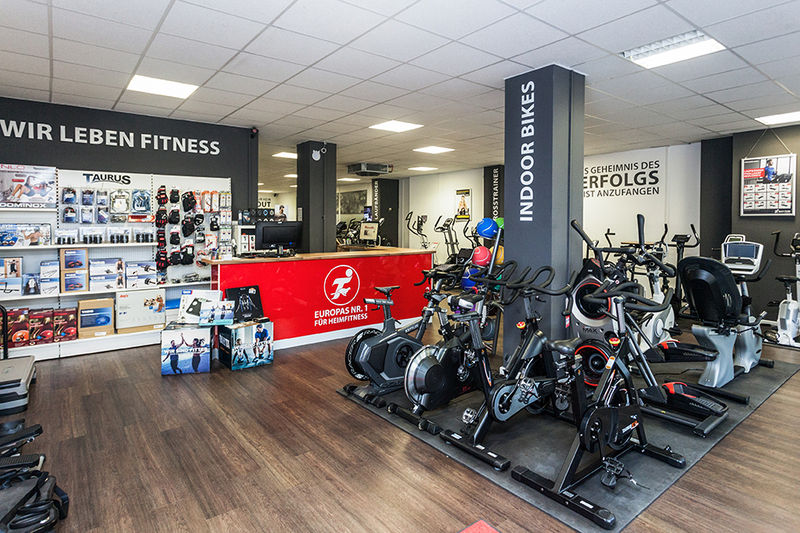 At our store at the Kaiser-Friedrich-Ring 70 in Wiesbaden, we present you on an exhibition space of 200 m² a selection of fitness equipment for all training targets and fitness levels. Besides the classics like elliptical cross trainer, treadmill, and exercise bike for your cardio training, you find here rowing machines, multi-gyms, and weight benches for muscle building as well. Training equipment of famous manufacturers are represented in our range of products as well as our high-quality Sport-Tiedje own brands. Our sports enthusiastic service team gives you valuable tips about purchasing fitness equipment - either at our store in Wiesbaden or at our online shop. Furthermore, our staff also gives you advice regarding all questions about warranty, financing, delivery, assembly, and maintenance. Experience the whole world of sports at Sport-Tiedje in Wiesbaden! At our shop, you cannot only buy fitness equipment but also experience the whole variety of fitness: We invite you to test every fitness machine extensively on site with expert advice. Because, being Europe's No. 1 for home fitness equipment, it is our aim that you find the fitness machine, which meets your personal training target ideally. Either wanting to lose some weight, to improve your cardio or to prepare for a competition: Take some comfortable wear along and get ready. 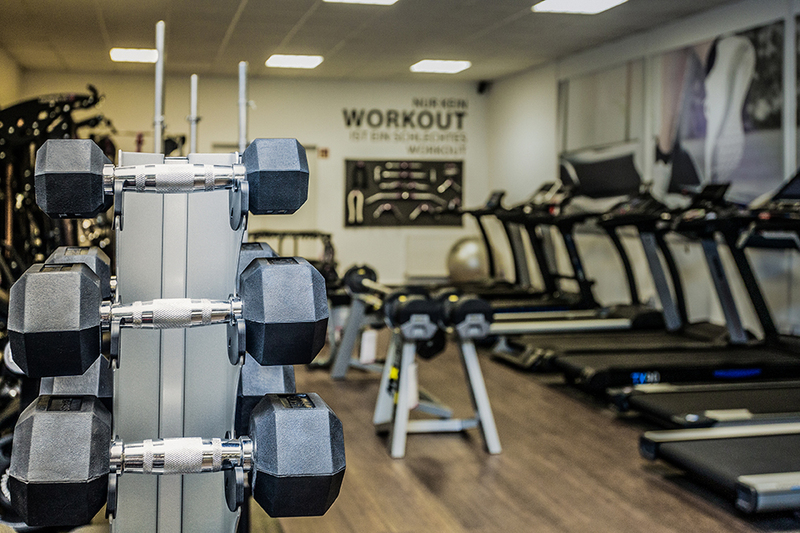 Get on a treadmill, work out with a multi-gym or conquer the challenging heights with an indoor bike: Purchasing fitness equipment becomes a real experience with our special service on site. 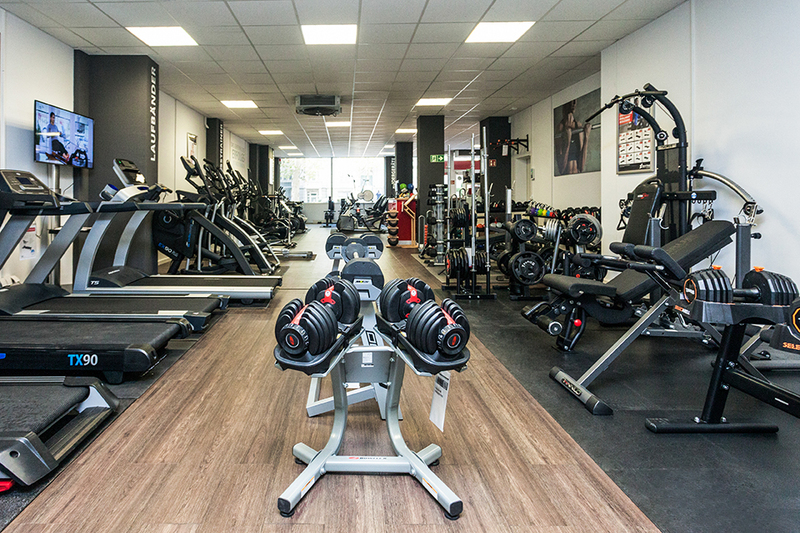 We do offer some: At our Sport-Tiedje store in Wiesbaden, you do not only find bulky equipment but also any kind of small equipment and sporty accessory as optimal addition to your training - from massage rollers and yoga mats to pulse monitors and weights for your Functional Training. You get everything out of your workout with the appropriate accessory! We are also your contact person regarding sports nutrition: Our fitness team is happy to recommend you the appropriate nutritional supplements in order to achieve your training target even quicker. Wiesbaden is a sporty city: Every year, the capital city of Hesse welcomes real top athletes to different sport events. The Ironman 70.3, which is a triathlon competition of highest level, is very popular. While swimming, cycling, and running a half-marathon across the streets of Wiesbaden, power, cardio, and speed are equally demanded. Prepare optimally to your sport event with a treadmill or a multi-gym - we of Sport-Tiedje support you with the appropriate fitness equipment.